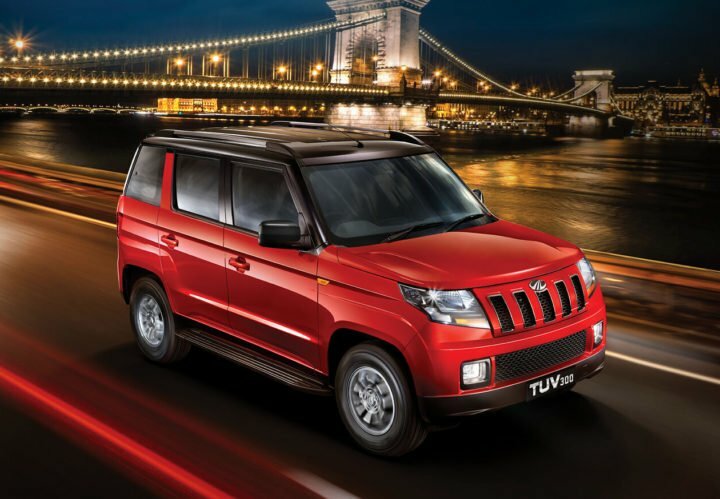 New Range-topping Mahindra TUV300 T10 Model Launched! The Mahindra TUV300 has been a fairly successful model since its launch in September 2015. The TUV300 was originally launched in as many as 7 variants, which had ex-showroom prices in the range of Rs 7.65 lakh to Rs 10 lakh. While this compact SUV hasn’t exactly been able to leave a dent in the sales of the Maruti Vitara Brezza and the Ford EcoSport, it has been doing pretty well in at least a handful of pockets across the country. Now, in a bid to enhance the appeal of this model, Mahindra & Mahindra has come up with a new top-end trim of its compact SUV. Dubbed as the Mahindra TUV300 T10, the new model gets a host of new features including a 7-inch touchscreen system. Prices should be roughly Rs 40,000 higher than the corresponding T8 variant. Our guess is that while the price of the manual transmission variant of the TUV 300 T10 should be around Rs 9.70 lakh, the AMT model is likely to cost Rs 10.35 lakh. The T10 trim is available with both AMT and manual transmission options. The list of features that debut on the latest variant of this SUV includes a 7-inch touchscreen infotainment system that offers GPS, USB, AUX, Reverse Parking Aid, Video and Image Playback, and Bluetooth Music and telephone features. Other new features include faux leather seats, steering mounted audio controls, four speakers and two tweeters. Safety features include ABS, EBD, Dual front airbags, along with static bending headlights. There is no change in the specifications of the model. Based on a ladder-on-frame chassis, the TUV 300 is powered by a 1.5-litre mHawk100 turbo Diesel engine that outputs a maximum power of 100 PS along with a peak torque of 240 Nm. The base model, however, gets this engine in a lower state of tune. The lower spec model gets on 85 PS and 230 Nm. Transmission options include a five-speed manual and an AMT. The new Mahindra TUV300 T10 can be bought in any of the six single-tone paint options- Verve Blue, Dynamite Red, Molten Orange, Glacier White, Majestic Silver, Bold Black, and Bronze Green. Additionally, the TUV 300 T10 also gets two dual-tone paint options- Red-Black and Silver-Black. However, these dual-tone options cost an additional Rs 15,000. You can also opt for black or white roof decal that is on sale through Mahindra Genuine Accessories. The manual transmission variant of the TUV300 T10 should have an ex-showroom price of Rs 9.70 lakh. The AMT-equipped model is likely to have an ex-showroom price of Rs 10.35 lakh. So, basically, the new T10 trim is around Rs 40,000 costlier than the corresponding T8 variant. This makes the new range-topping model a fairly high value-for-money proposition. What do you think? Being the new range-topping trim, the new TUV 300 T10 gets the more poweful version of the 1.5-litre mHawk Diesel engine. In this state of tune, the engine outputs a maximum power of 100 PS along with a peak torque of 240 Nm. The engine comes mated to a 5-speed manual transmission as standard and a 5-speed AMT is optional. In its 100 PS state of tune, the 1.5-litre mHawk Diesel engine offers an ARAI-rated fuel mileage of 19.49 KMPL. This is definitely much lower than the over 24 KMPL that the Maruti Vitara Brezza’s engine offers. But let’s not forget here that the TUV’s motor is considerably more powerful. Also, this Mahindra compact SUV is fairly heavier than the Vitara Brezza. The highlight of the TUV 300 T10’s features list is the 7-inch touchscreen infotainment system that offers a host of features such as Bluetooth, USB, Aux-in, Reverse parking aid, and Video and image playback. Along with this, the car also offers dual-tone paint options that cost Rs 15,000 more. The dual tone colour options cost Rs 15,000 more. As the new TUV300 T10 is merely a new range-topping trim, there is absolutely no change in the dimensions and other measurements.